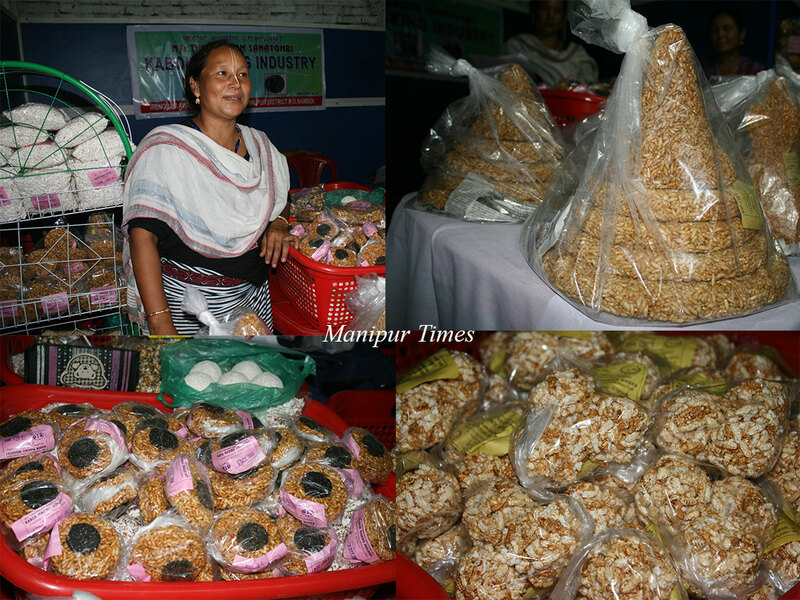 Locally known as ‘Kabok’, it is a popular Manipuri staple food item made from fried or puffed rice. 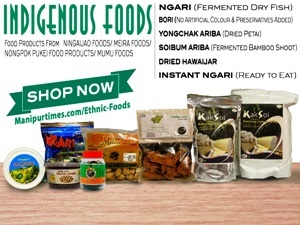 This particular indigenous food item is losing its place and value in the market. 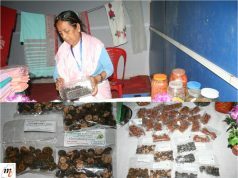 An entrepreneur from Bishnupur district is relentlessly trying to promote it by preparing Kabok items of varied flavors and taste. 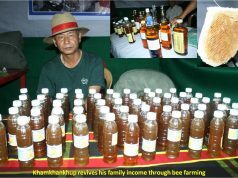 Thingbaijam Sanatombi wife of Thingbaijam Manihar from Irengbam Mamang Leikai, Bishnupur district began the business in 2013. She learnt the skill from her mother RK Ngoubi. 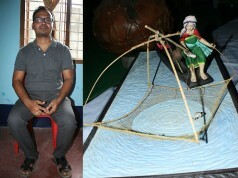 Sanatombi’s maternal family are originally from Tripura. The family came to Manipur as refugees and settled in Bishnupur. 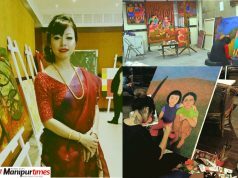 Her mother took care of the family by making indigenous Meetei Kabok items. She observed her mother making Kabok at home with some local women. Prior to adopting Kabok making business, Sanatombi engaged herself in weaving handloom fabrics to help her husband in maintaining her family. With the business failing to help her running the family comfortably, she along with her husband ran a small tea hotel at Porompat Ayangpalli adjacent to the workshop of her husbands’ brother for six years. The income from the hotel business also could not support her to run the family with three kids. The couple left the hotel business and looked out for other viable job opportunity which would help them support the family. Her husband Manihar began to earn for the family by hawking ice cream from place to place on an second- hand Auto rickshaw which he bought from a local friend of his locality. 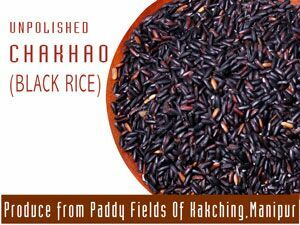 She started making kabok with only one Phou Shangbai (a Manipuri measuring unit for rice). 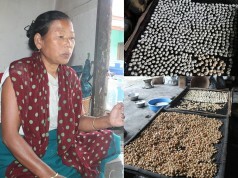 With it, she made various types of indigenous Kabok products of varied taste including Thoiding Khoibak, Thoiding Kangshubi, Kabok Aphaba, Akhingba, Kabok Muri, Kabok Afaba, Kabok Khoidum,Chujak kabok, Kabok Khoibak, Hamei, Thoidingkabok, Sana Kabok, Kabok boon, Phou khoibum, Kabok Akhingba, Lalu (small, medium and Big size), Chini Heingal, Chengpak, Chuhi and many others. Braving the scorching sun and rain, she made her living by hawking the finished Kabok products to various shops located at Nambol, Bishnupur and Imphal Khwairamband Keithel on a bicycle. She would continue making kabok till late night and would rise up early in the morning to hawk the food items from place to place. By doing so, she could fetch good which later helped her set up the brand Thingbaijam Sanatombi Kabok Making Industry..
She also engages a local elderly woman namely Tombi from Irengbam village Frying of rice in hot Pan during kabok making process needs expertise, which Tombi provides. Indigenous Manipuri food items locally known as Kabok are simply made by mixing the fried Rice with hot sugarcane juice added flavor while Chengpak is made by flattening the Rice after boiling. 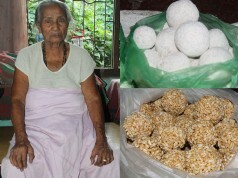 Lalu, an oval shaped edible item is made from the residues of kabok making process. 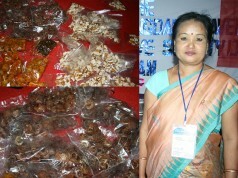 Sanatombi personally used to prepare the Kabok items at her home with the help of her daughters and other local women. 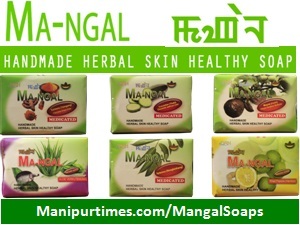 The finished products are sold to the local shops at Nambol, Bishnupu Bazar, Moirang and other areas. 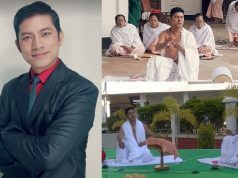 Although the growing generation ignores the indigenous Meetei Kabok items, they are commonly used during the religious rituals and rites like Wedding, Sharada Ceremony, Lai Haraoba, Cheiraoba, Ipan Thaba (Naming Ceremony), and others as indispensable items. Interestingly, with almost people of the state now understanding the indigenous values, use of indigenous kabok items in various occasions is increasing nowadays. 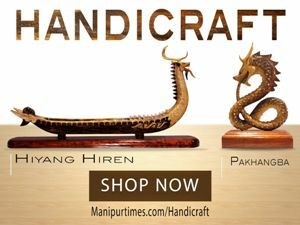 It has rejuvenated the spirit of the professional Kabok makers as well as the market of the items, she maintained. 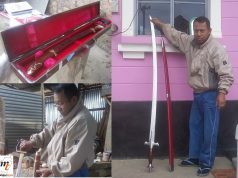 “I always manage to provide the costumers with quality kabok products better than my counterparts. 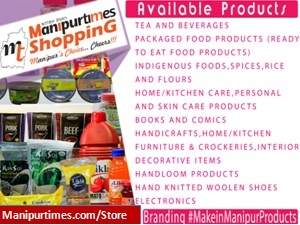 Costumers will not find any rice husk in almost products prepared by my farm as they do in other brands available in the marke”t, she contended. 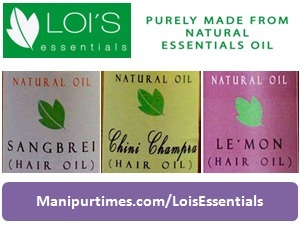 The lady entrepreneur does not forget her responsibility. 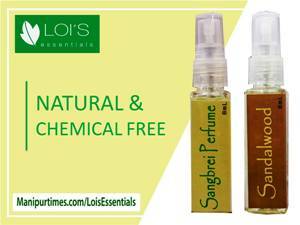 She sometimes donates her products free of cost during public occasions of her locality and to the poor people in times of need.